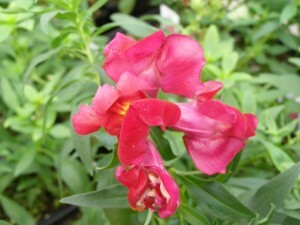 Snapdragons are a softly scented flower that come in various sizes. 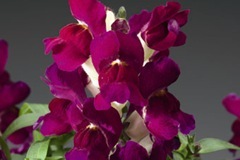 Rows of perfectly formed, beautifully painted flowers adorn many stems. 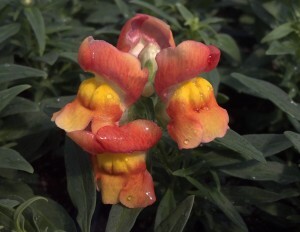 Plant snapdragons while temperatures are still cool in spring or early in the summer. 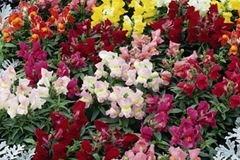 Snapdragons produce more blooms when temperatures are cool. 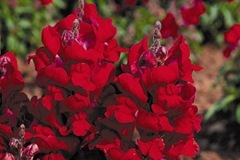 Sonnet is a mid-sized variety that makes a great background to plantings of mums and pansies. 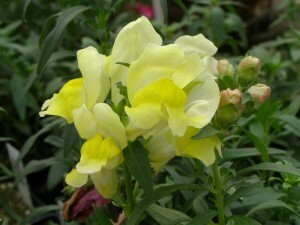 They grow to a height of about 24″. Montego is a dwarf variety that is early flowering. 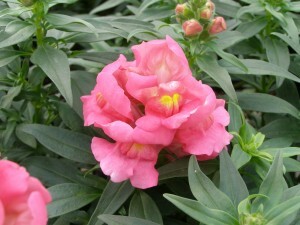 They have a strong branching habit and sturdy stems. 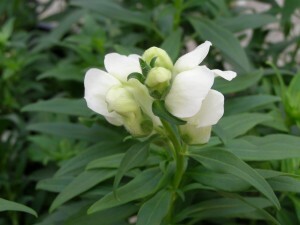 The Montego variety only grows to about 10″ in height. Height: Grows 8″ to 24″ tall depending on variety. Outstanding Features: These popular annuals come in a wide assortment of sizes, colors and varieties. 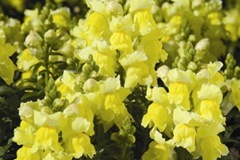 They also attract bees, butterflies and hummingbirds. Tips: Dead flower stalks should be removed to promote new growth. 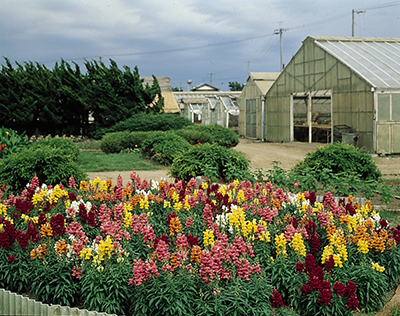 Support taller varieties with stakes.